Yesterday I was visited by MTB royalty. 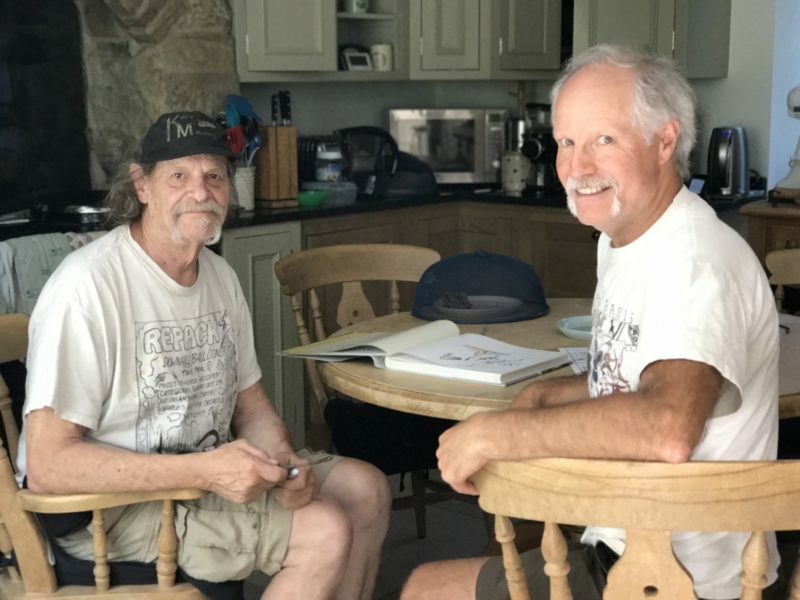 Joe Breeze and Charlie Kelly are in the UK for a talking tour and they drove up from Scunthorpe to pop in for a coffee (I also took them for a walk on Hadrian’s Wall). Joe built the first bespoke MTB, and Charlie Kelly – along with then business partner Gary Fisher – coined the term “Mountain Bike”. Joe is also custodian of the Marin Museum of Bicycling and was into bike history even before he joined with others to create mountain biking as we know it. 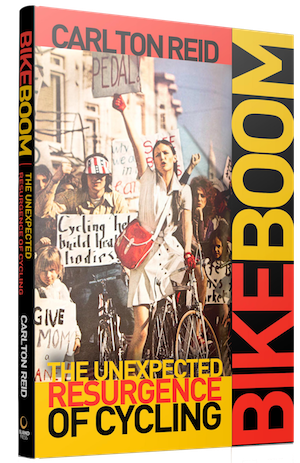 He kindly wrote the foreword to “Bike Boom”. Why Joe? He was a “baby boomer” road cyclist who was active during the 1970s bike boom in America, had a pivotal role in creating the mountain-bike boom of the 1980s, and in the 1990s he morphed into a transportation cycling evangelist with his influential Breezer brand.